What does finding an ancient petroglyph teach you about commercial asset management? Many people may not know that southern Utah is rich with Native American history. A few weeks ago I visited an old pioneer building called Fort Pearce located near the Utah/Arizona border with my father-in-law and wife. There was a short walk from the parking area to the fort and on the way we crossed paths with an older gentleman who asked us if we knew where to find the “Red Man” petroglyph that was rumored to be in the area. 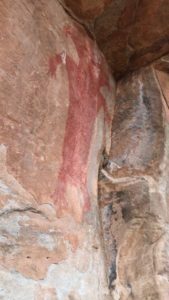 He described it as a large, bright-red man painted on the rock by ancient Native Americans. We had no idea about the petroglyph but my father-in-law and I were intrigued. When we got back home we searched online and were able to find some information that would lead us to this amazing and rare rock painting. The next day my father-in-law and I took to the river basin and began the hunt for the “Red Man” petroglyph. After an hour of hiking through the sand and rain we were finally able to locate the drawing. The work to find the petroglyph was more than worth it and it became one of the best discoveries we’ve ever made. Many times we come across people who tell us of wonderful treasures ahead but we fail to do the necessary research and leg work to find them. However, when we do the work and ask the right questions from the experts that have knowledge we can be led to great success. This principle can be extended to all areas of life, even that of commercial real estate. The questions when looking for success are usually how do we know where to look and how do we get there? With commercial real estate you need someone who can help you do the research and walk with you through the sand and rain of economic cycles. With years of experience and painstakingly prepared research we are well prepared to help you meet your goals for your commercial asset. Last month we released our 2019 Outlook Market Report for Utah and Las Vegas. This research has been put together to help our clients understand these diverse markets. At NAI Excel and NAI Vegas Asset Management we strive to be the experts of commercial property management and work every day to help our clients reach their financial goals. We help with the research and the leg work in order to be partners with our clients as they work to accomplish their goals. We have helped our clients find success in owning commercial assets. Just like me and my father-in-law finding the “Red Man”, you need good research and someone to help you along the path to find success. If you are interested in our services or have any questions please don’t hesitate to contact us here. 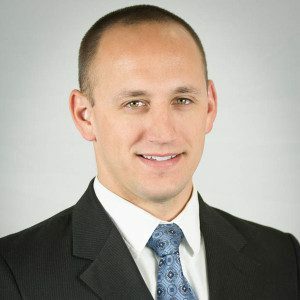 Tim’s passion for entrepreneurship and business has helped him excel in the Asset Management division and has helped his portfolio grow significantly over the course of his employment. His proficiency in customer service, creative problem solving and unequaled professionalism have ensured that his clients see improved property values and overall better property performance. Tim’s focus and dedication to client relationships and his connections all along the 1-15 corridor from Salt Lake City to Las Vegas have made Tim an invaluable tool to the success and growth of the Asset Management team.